Employee-owned Baird continued its ongoing strategic expansion and also posted record revenues last year, according to the just-released 2011 Baird Annual Report. The firm’s 2011 revenues were $925 million, up 9 percent from 2010, which was also a record revenue year for the international financial services firm. To learn more about Baird’s 2011 financial performance, please view the Baird 2011 Annual Report. 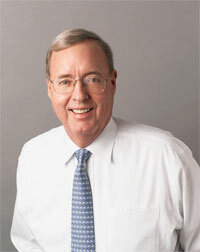 For additional perspective on the firm’s 2011 results, watch a video from Paul Purcell. Additional videos featuring Baird senior leaders are also available on the website. Baird is an employee-owned, international wealth management, capital markets, private equity and asset management firm with offices in the United States, Europe and Asia. Established in 1919, Baird has 2,700 associates serving the needs of individual, corporate, institutional and municipal clients. Baird has more than $87 billion in client assets. Committed to being a great place to work, Baird ranked No. 21 on FORTUNE’s 100 Best Companies to Work For in 2012 – its ninth consecutive year on the list. Baird’s principal operating subsidiaries are Robert W. Baird & Co. in the United States and Robert W. Baird Group Ltd. in Europe. Baird also has an operating subsidiary in Asia supporting Baird’s private equity operations. For more information, please visit Baird’s Web site at rwbaird.com.